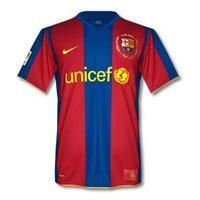 Barcelona FC has won 19 La Liga titles, the last one being in the 2009 season. In the 2007/08 season the team ended the season in third place, which allowed it to qualify to play in the UEFA Champions League the following season. Barcelona FC has qualified for this trophy on three occasions: in 1992, 2006, and 2009. In addition, Barcelona FC is the only Spanish soccer club to have a treble winning season, winning in the same season La Liga, the Copa del Rey, and the European Cup. Vote for the players that have contributed the most to achieve these victories. Who has been the History's Best Player from RC Deportivo?